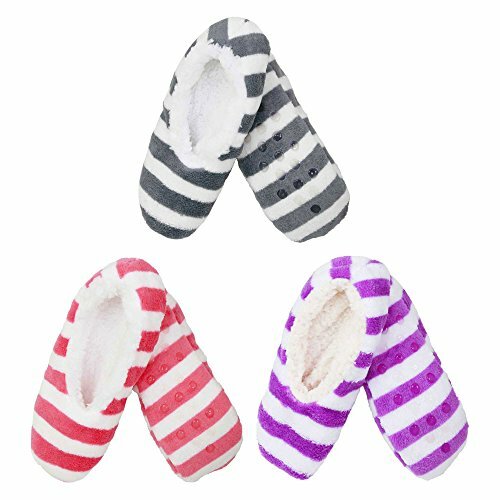 These ultra-soft cozy fuzzy slipper socks can keep your feet warm, cozy and adorable all winter long! Your toasty toes will be thanking you for protection from cold floors. And their non-slip grip will stop you from falling on slippery surfaces. Wear a different pair every day or use as a stocking stuffer for your girlfriends!